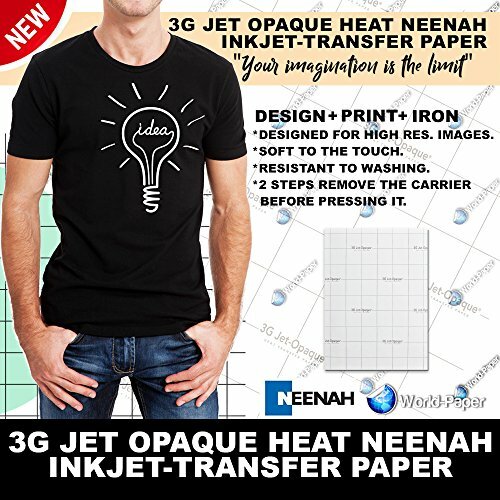 Neenah 3G Jet Opaque Hat Transfer Paper for Inkjet Printers - 11'' x 17'' - 10 Sheets by Neenah at LDP Graphic Design. MPN: NP3GJO111710. Hurry! Limited time offer. Offer valid only while supplies last. Sublimation transfer paper - 110 SHEETS size 8.5" x 11" - Great for Sawgrass Virtuoso SG400 and SG800, RICOH printers and others.